1. 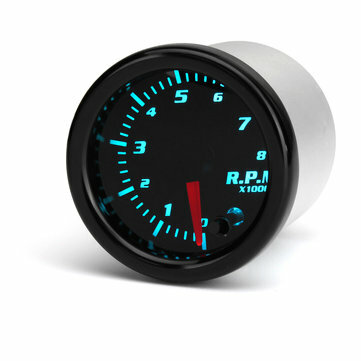 2" (52mm) Black Face Gauge with a Magnified Tinted Lens. 2. Reads from 0 to 10,000 RPM. 3. Installs to any 1-10 Cylinder Gas Powered Engine. 4. 7 Color LED Through Dial Lighting with Color Recall Ability. 6. Dimmer Wire Allows the Gauge to Dim 30%. 7. Suitable for 12V vehicles. 8. LED super bright display. 9. Racing look enhance the characteristic to your car. 10. The button on the lens can switch the color of light you want. 10perc alatt bekotottem nagyon jól néz ki!